Hey sweet friends! Happy Friday! I want to remind everyone to MAKE SURE YOU WATCH THE VOICE THIS MONDAY NIGHT, THE 14TH, at 8:00 pm EST. 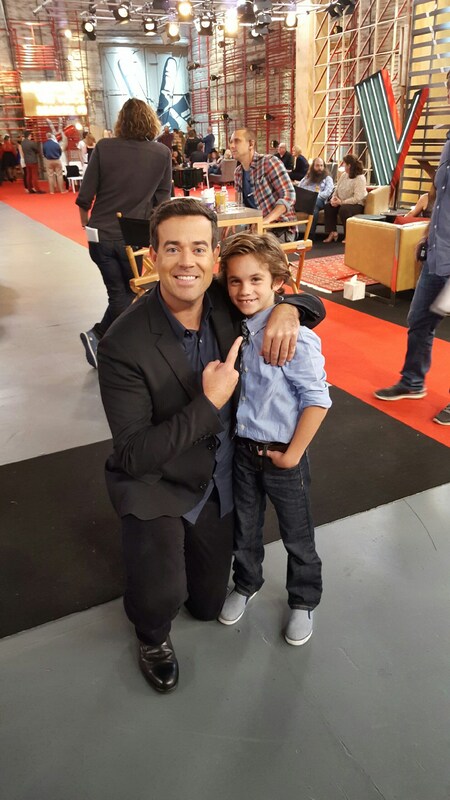 It is the final episode of the blind audition, and you will see Jonathan and maybe the rest of our family during this episode. Please pray that they share all of Jonathan’s story, and not a short clip of him. Now to my Fashion Friday post!! 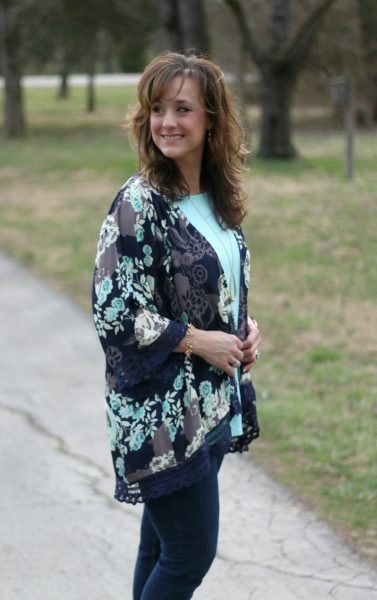 I am so thrilled to share this beautiful outfit from Glamour Farms! 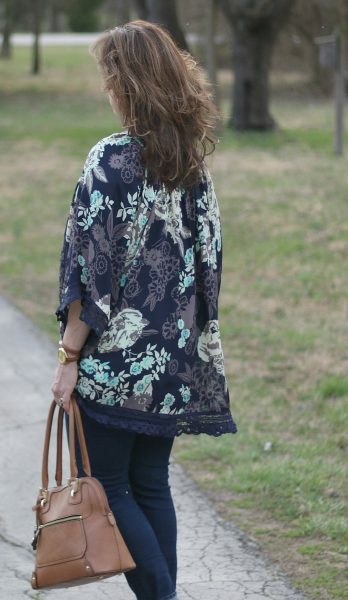 I am wearing Ruby’s Garden Kimono in Navy. 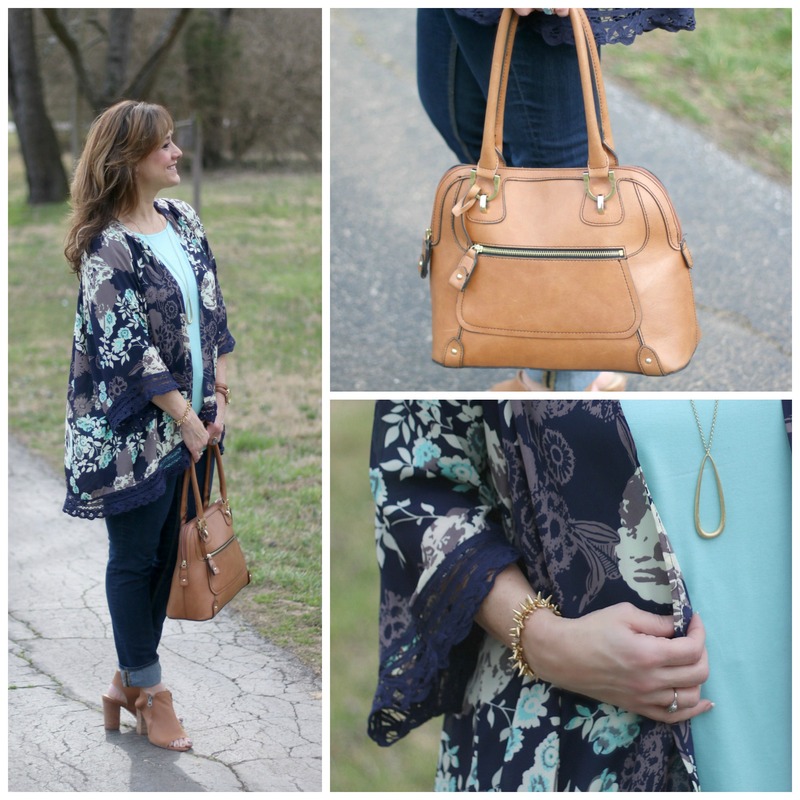 Did you know that floral prints are HUGE this Spring?! 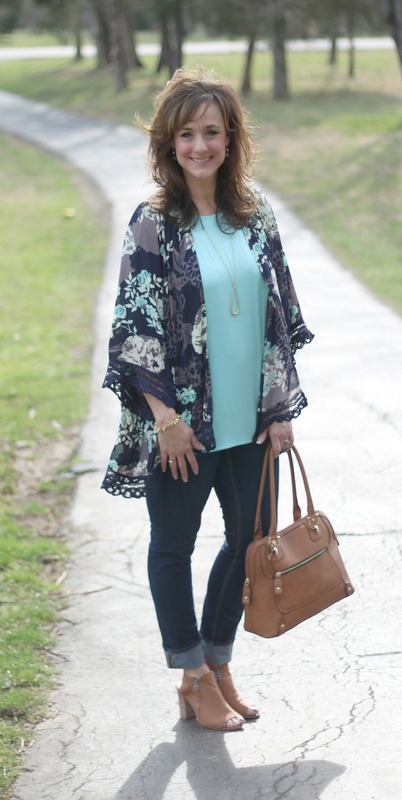 Ruby’s Garden Kimono is bold and beautiful! 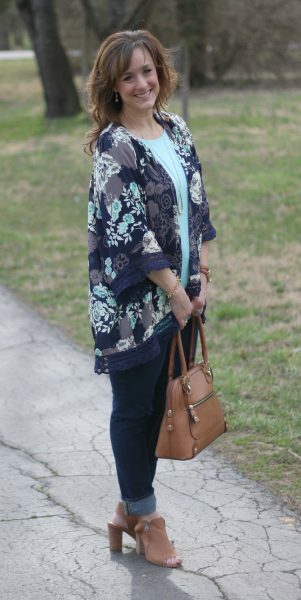 It’s a semi-sheer kimono has an open front, gathered detailing around neckline and 3/4 full sleeves. 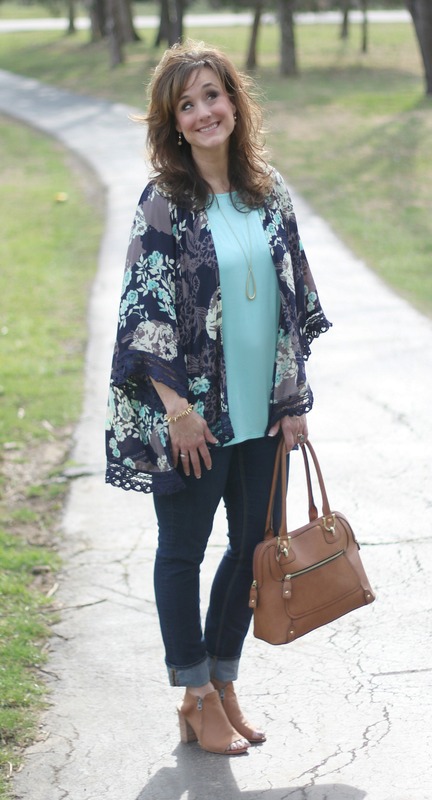 I wore my Ruby’s Garden Kimono with The Adele Piko in Mint underneath. But it’s an equally beautiful layering piece for anything, like a dress or a favorite tee with denim! This fabric has no stretch and is 100% polyester. 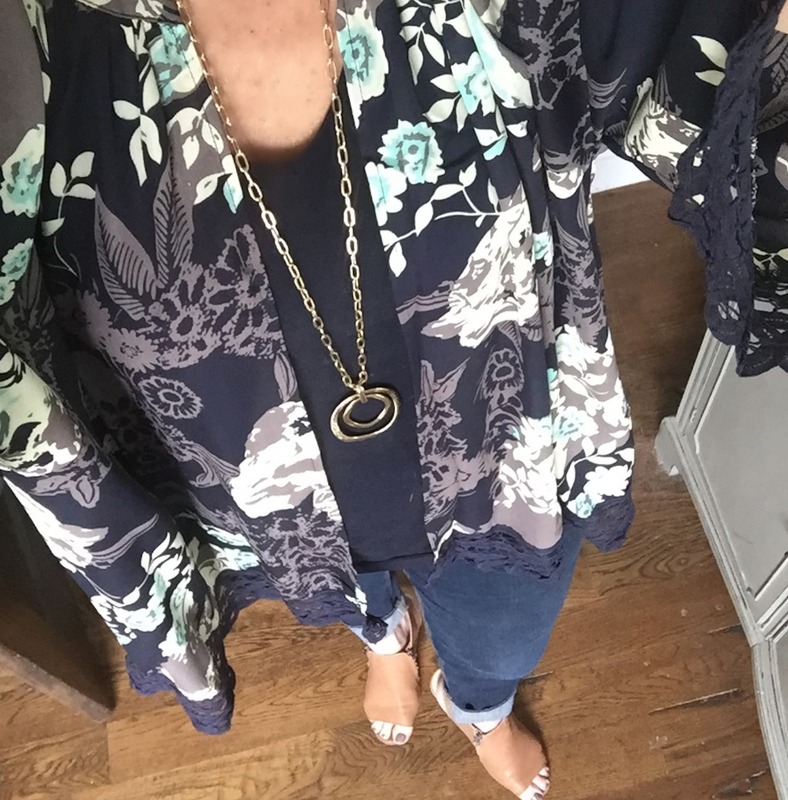 I am wearing the Sancia Zip Sandal again with this outfit! I seriously could wear these sandals every single day because they are sooooo comfortable and go with absolutely everything! 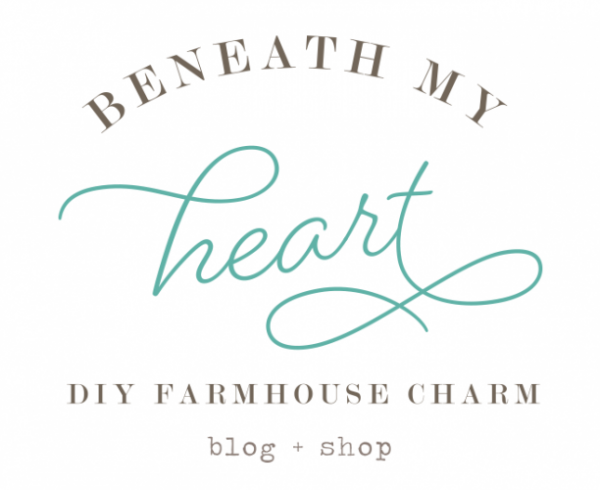 My necklace is also from Glamour Farms, and it is called Tabitha’s Tear Drop Necklace. You can find my purse HERE, my watch HERE, and my bracelet HERE. 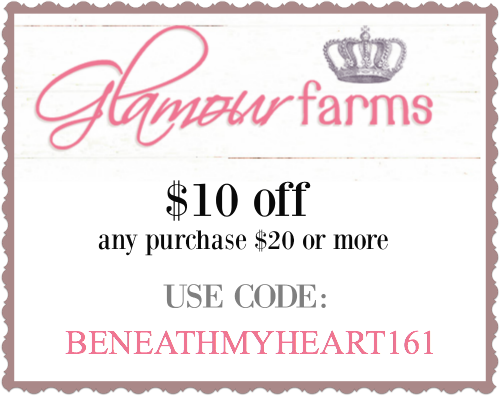 Be sure to use this coupon when shopping online at Glamour Farms to get $10 off your order of $20 or more! I just love you and don’t even know you. I love your stand for The Lord Jesus Christ and you’re not ashame of it. I will be watching mon night And if it’s the lords will for his life, I hope he’s the winner. 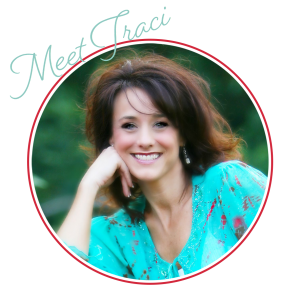 Hi Traci, I am new to your blog and have just spent the last hour and a half sipping coffee and going over your renovations of your rancher. AMAZING how talented you are and what luck you married a man that brings your vision to life!!!!! I really need to get off of my computer and get some housework done, but am itching to see more of your website :-). I will save that for tomorrow’s morning coffee :-). You and your hubby could have your own show!!! By the way….who is Jonathan and I will watch the Voice on Monday!!!!!! One of my favorite shows. Good luck to him!!!! Jonathan is my son. :) He is sixteen years old and hearing impaired. He has 50% of his hearing and has worn hearing aids since he was 3. Tonight he will sing on THE VOICE! It is truly a blessing from the Lord. Oh wow!!!!! The Voice was awesome tonight and I got to see your son chosen and tomorrow he’ll be on again!!!!! I can’t wait. 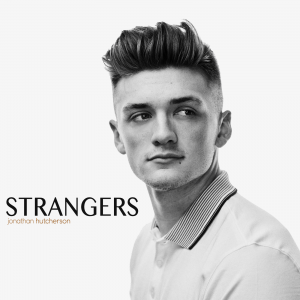 Great voice, great young man. Wish him much luck…who knows where this will lead him!!! Eli is So Darn Cute!! Can’t wait to see more pix Traci! I’ve been watching The Voice since it first premiered and think it’s the Best! I’ll be in Jonathan’s corner the whole way! Saving the best for last. The last shall be first!!! On another note, love the color of those toes! What is it? 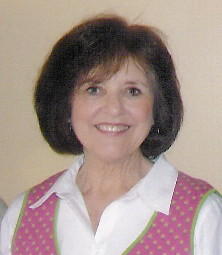 Thanks, Bernadine! And I have no idea what color is on my toes! I’m sorry. :( It’s kind of a grayish-brown color. hee.hee. I know that doesn’t help. Thank you! We are soooo excited! Such a pretty outfit that you wear so beautifully. Not sure where your son’s singing career will go with the voice. Still he has a future as I think God knows best concerning getting coached by these judges and what he’d get exposed to.